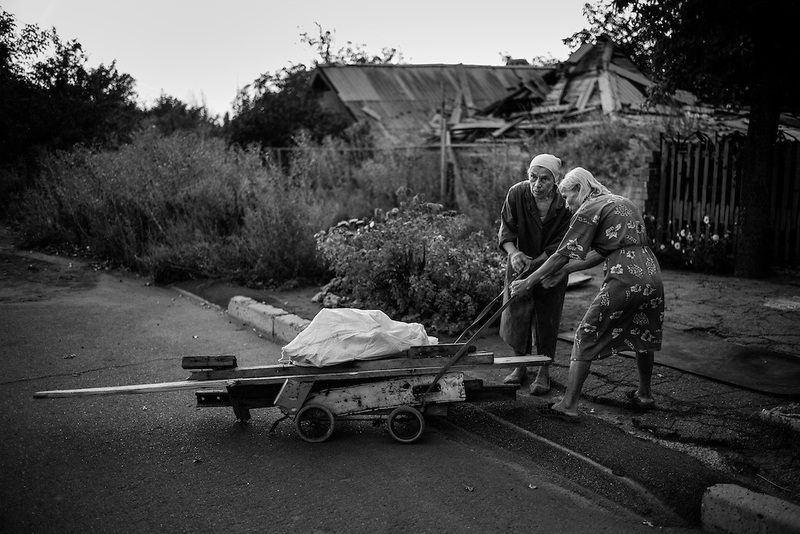 The sisters Valentina and Antonina Vikulina are living next to the bombed out airport in Donetsk on the separatist side. They talk about how all their neighbors have fled, and that even the stray dogs left when the fighting in the area was at its worst. ”The dogs have started to return, but not the people”, they explain. They gather wood, from bombed out buildings in the area, stocking up for winter.